This restaurant is a fabulous dining experience with the best host (owner Gil) and hostesses. Tastiest dishes I have ever imagined and can you can make the call for how spicy you want it. You have to try this dining at least once and you will come back for more. The chicken Mahar is my favorite order and it will be hard to eat it all. Bring an empty stomach. The food was excellent, as was the service! Wonderful dining experience, One of our favorite places to dine out! Love coming in for the lunch buffet. The food is amazing with a range of spice levels to please any palate. There is always plenty of naan to clean your plate--and you don't want to leave any trace of sauce behind because each is so flavorful, rich and balanced. A perfect choice for lunch each time! It was our first time there for dinner today. The attention to detail is absolutely fabulous. We were taken care of to the max! Thank you! My first dinner experience was delectable! 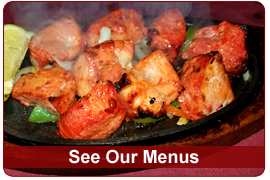 East India Grill is an outstanding, "destination restaurant" in Federal Way. We have always enjoyed wonderful food and service at your restaurant, and our visit last night was no exception. The Lamb Korma is delicious! I can't wait for cooking classes to begin again- I will be waiting to sign up! Me and my husband love this place food is delicious and people who work there are amazing. will truly recommend this place . Absolutely fabulous restaurant!!! Always wonderful service and deliciously incredible food. We frequent at least once or twice a month and wouldn't dream of going to any other Indian restaurant! The food is magnificent. The host and proprietor are fabulous. This restaurant is fantastic. My family raved about this place and now I too sing its praises. This is a wonderful restaraunt to visit. The staff are pleasant and the food is wonderful. I'm excited to be able to attend one of the classes in the future. Wonderful people, service and food !! I love this place! AMAZING FOOD!!! The food here is AMAZING and the people who prepare and serve are exceptional. A friend introduced me to this gem of a restaurant on my birthday. She took me to their cooking class. It was a really fabulous experience and the host was incredibly gracious and informative. I'm leaving my home right now to pick up my to-go order! I come to visit a customer in Tacoma everyone month or so and I usually go straight from the airport to this restaurant before even going to my hotel. If I could marry the cook and take them home with me I would!! The food is the best! I was introduced to this cusine by Shashi, who is Indian herself. She has dined here for a long time and suggested I try it!!! I am in love with this food that has made my taste buds looking forward to the next time we dine there!!! Excellent!!!! This place is amazing! The atmosphere and service is fantastic, food is mouth-wateringly amazing, and the owner is very friendly. Since our move from Salt Lake City, UT, my husband and I had been searching for great indian food and finally found it here. We go back as often as we can and recommend it to everyone we know. Definitely a place I crave! It has been hard to find a quality Indian restaurant in the south end, but I finally have! The food is prepared fresh, there is always a large selection of both vegetarian and meat dishes, nothing by itself is so spicy that a "tender tongue" can't enjoy it, and the dessert selection is YUMMY!!!! I go back as often as I can, and tell everyone I can about this place. 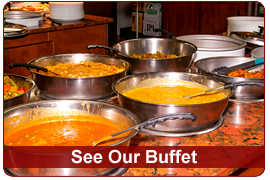 A little more than some other buffets, but sooooo much much better quality and selection that it is worth it. My first experience at the East Indian Grill was amazing and I look forward to going back. The staff are very compassionate and it brought me back to my time in India. Thank you and look forward to seeing you all again. This was my first indian food experience and I LOVED the vegetarian food I ordered. It was so filling I had to take it home and finish it the next day. Has quickly become a food I crave! This place is our favorite. The food and value are amazing. We come to eat here often. Such a nice staff and the restaurant is beautiful inside. This place is amazing! The Indian American fusion is exquisite! The atmosphere is very nice, and I look forward to returning! I enjoyed talking with the owner, learning his interesting & diverse background, and am thankful he decided to open his restaurant in Federal Way! I have eaten here many times and all it does is make me want to come back. Exceptional food and service. I love the buffet, great choices for lunch and desert. I love your staff and your food and wish I could just eat here everyday. I can't wait to check out your cooking course on Saturdays. This is one of our favorites. Everything we've tried has been delicious. Wonderful food and a great staff make every visit enjoyable. I have been disappointed with every other India food restaurant I've tried. What a wonderful suprise. How could we have lived here all these years and missed such a fine, world class dining experience. We are already scheduling our return. WOW! We cannot say enough about how much we enjoy your lovely restaurant, delicious food and gracious waitstaff. Your restaurant is a landmark in Federal Way and those of us who know and appreciate fine dining wish you continued success always. Best Indian food anywhere! We go at least twice a month! Super great place to eat indian food. One of the best Indian restauarants in the tacoma/federal way area. Would envy the seattle indian restaurants as well. Like the mango mousse that I have never seen in any indian restaurants..they have video cameras that keeps on showing you how the nuns that you eat are prepared...all live. I have to agree the food is wonderful and my boyfriend and i have taken cooking classes from the owner and it has been wonderful. We have learned so much about Indian spices and the food. I second what Jodi says. Great place, nice people, great food. We are grateful they are here to give us an alternative to fast food and franchise chain store food! East India Grill makes some of the best Indian food around. The food is fresh and flavorful with many tempting choices on the menu. I normally do not like buffets, but their Sunday buffet is outstanding. 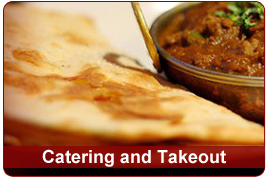 My favorite entrees are the paneer palak, Kashmiri kofta, pakora curry, eggplant bharta, and tandoori shrimp. For an appetizer, my favorites are the vegetable pakoras and aloo tikki. My favorite desserts are the warm carrot halwa and rice pudding. The owner is so passionate about the food that he offers cooking classes to his customers on Saturdays! One time while eating in the restaurant, he told us all about the dish we were eating, and then he gave us some fresh spices to take home to try, absolutely free! This is such a warm and welcoming place. East India Grill is one of my favorite restaurants... ever!